Your gut has been called your second brain – for a very good reason. A whopping 100 trillion bacteria live there, and they control pretty much everything that goes on in your body. So you probably can imagine that when the number and/or balance of those bacteria gets out of whack, your system can be thrown into disarray. That chaos in your gut can lead to all kinds of unpleasant issues – among them are constipation, diarrhea, yeast infections, and even depression. 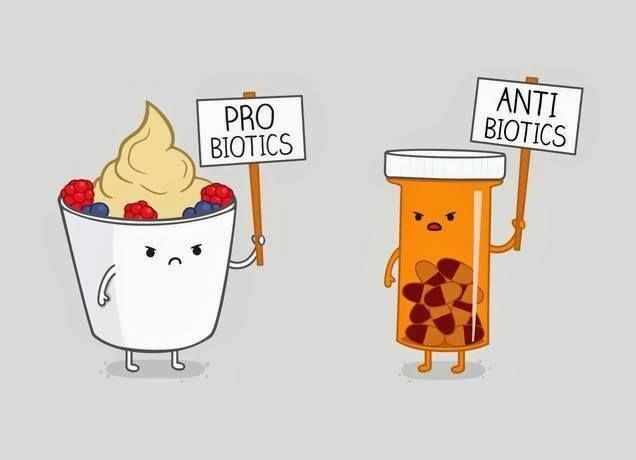 Luckily, taking probiotics is a great way to keep your gut bacteria healthy and your body happy. 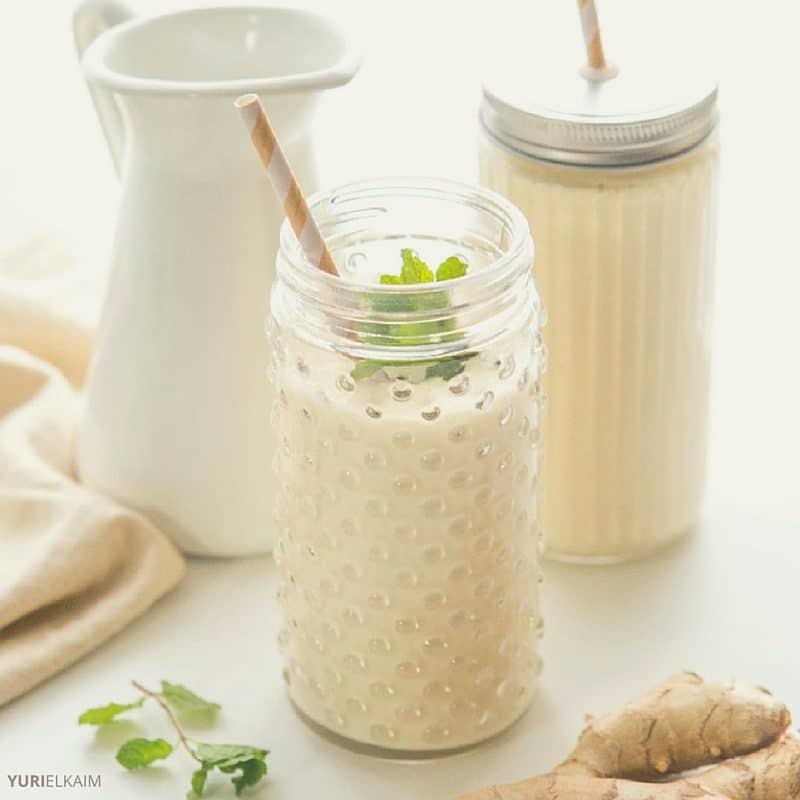 You’ve probably heard a good deal of buzz about probiotics lately, They’ve been touted to fix and/or prevent everything from depression to stomach problems. But how exactly can one supplement have so many different benefits? 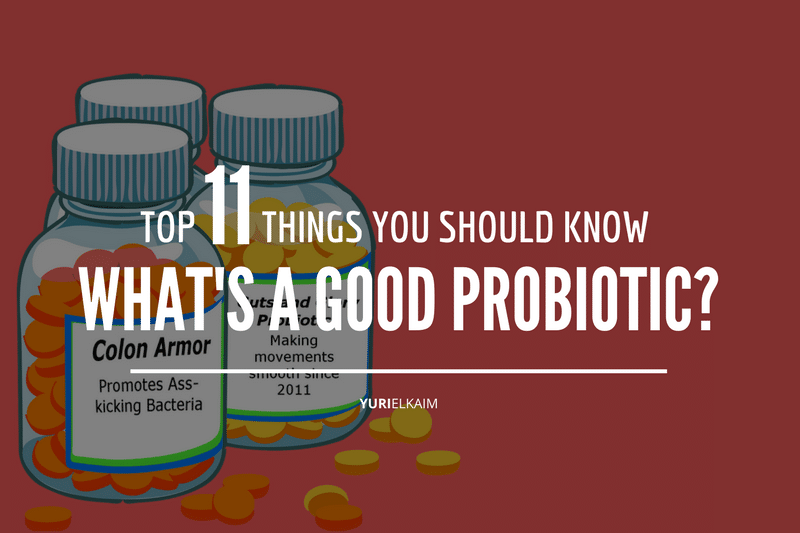 And with so many products on the market, how do you even know what’s a good probiotic? It might seem confusing, but don’t worry – I’ve got you covered. In this post, you’ll learn how to navigate the pharmacy and supermarket shelves without getting too overwhelmed, as well as how to choose the best probiotics. 1. Why Should I Take Probiotics? When you ingest probiotics – whether as a supplement, in food, or in a smoothie – you’re taking in millions of bacteria. That might sound kind of creepy and disgusting, but it’s actually great for your health. Your digestive system bacteria helps you out in many ways. They enable you to digest your food, fight off bad bacteria, and keep your immune system strong. Sometimes, however, the delicate balance of bacteria can get thrown off, and this can lead to diarrhea and other health complications. Probiotics can help restore the balance and treat a variety of health conditions in the process. Scientists are still working on understanding the complexity of the gut microbiome, but as they learn more, they’re coming to realize how key it is to your overall health. Probiotics can help with candida, irritable bowel disease (IBD), bloating, yeast infections, constipation, and even depression and seasonal allergies (1, 2). Dozens of foods contain probiotics – foods like yogurt, kimchi, miso, kombucha, kefir, and pickles. Common strains include varieties of Bifidobacterium and Lactobacillus bacteria. 2. What’s a Good Probiotic? Different probiotic products contain different combinations of bacterial strains. Some strains might be more effective if you’re looking to improve a specific condition, so it’s important to do your research before purchasing. For example, if you have IBS or IBD, probiotics containing the Bifidobacterium lactis species have been found to be helpful, as have probiotics containing Saccharomyces cerevisiae (3, 4). Multi-species probiotics (those containing multiple strains) also seem to work very well for these conditions, so taking this kind of supplement may be the best way to cover all of your bacterial bases (5). Probiotics can also be a huge help for those who struggle with Candida albicans, a yeast-like fungus that can cause unpleasant conditions like digestive problems, leaky gut, and vaginal yeast infections. Candida can develop as a result of stress, eating too much sugar or refined carbohydrates, or drinking too much alcohol. Probiotic L. reuteri has been found to work well against most of the oral Candida strains, while L. fermentum and Saccharomyces cerevisae can help preventing vaginal yeast infections (6, 7, 8). A large meta-analysis found some probiotics can help treat symptoms of depression, anxiety, autism, OCD, and memory loss (9). The most commonly used probiotics for these issues include varieties of Bifidobacterium and Lactobacillus species. These probiotics can decrease both your stress hormone levels as well as your overall psychological stress. Finally, if you’re worried about heart disease (the number one cause of death among Americans), probiotics like Enterococcus faecium and Streptococcus thermophilus can reduce your risk, partially by reducing LDL (bad) cholesterol and increasing HDL (good) cholesterol (10). The more common Lactobacillus and Bifidobacterium strains have been found to do the same, while also decreasing triglyceride levels (11). These effects may be due to the fact probiotics change how our bodies metabolize fat and decrease the gut’s absorption of cholesterol. 3. What’s the Best Probiotic for General Health? So, different probiotic strains can be used to best treat different issues … but what if you just want to take a probiotic for overall health? First of all, kudos to you – being proactive about your health is the best way to stay healthy and happy, and also to avoid unwanted medical bills. If you’re looking for a good general-purpose probiotic, consider Bifidobacterium bifidum-containing supplements. Studies show they can increase the production of beneficial fatty acids in healthy adults, which can improve brain health and prevent cardiovascular problems (12). These strains can also cut inflammation, which means that they help prevent many health issues such as infections and diabetes – and to top it all off, they can also slow the aging process (13). 4. What’s the Best Dose? Probiotics are measured in “colony-forming units” (or CFUs). One CFU is one bacteria capable of reproducing to form more groups of the same bacteria. Having the ability to divide and reproduce means that a bacteria is alive and “active” – this is what you want to look for. Higher CFU counts mean higher quantities of active bacteria. Most studies suggest that higher doses produce the best results, and it’s not possible to overdose (14). Most of these studies have found that supplements containing at least 10 billion CFUs provide the best benefits, and while there’s no apparent harm in taking more, the benefits seem to plateau after about 20 billion CFUs. 5. Are Probiotics Good for Everyone? Probiotics may not be safe for you if you have a highly compromised immune system due to diseases like HIV/AIDS or cancer, so always talk to your doctor before taking any new supplements if you fall into this category. For just about everyone else, probiotics are a fantastic (and, some would say, necessary) addition to any healthy diet. That said, if you’re not used to eating them or have a digestive issue, it might be a good idea to slowly introduce them into your diet to give your system a chance to adjust. 6. Can I Take Probiotics with Medicine? Yes – although it’s always a great idea to talk with your pharmacist or physician to make sure. Probiotics can help nullify the nasty side effects of antibiotics. That’s because the reason you take antibiotics in the first place is so that they will kill off the bad bacteria in your body that’s making you sick. The problem is, they also kill off a lot of the good bacteria that your body needs. This can cause unpleasant side effects like an upset stomach and diarrhea. Probiotics can help reduce diarrhea caused by antibiotics (15). In some cases, probiotics may be able to completely replace traditional medications. For example, if you suffer from constipation, probiotic supplements and dietary changes have fewer side effects than traditional constipation medications. But what if you need to take other medications? In many cases – for example, when used together with traditional medication for severe constipation symptoms of IBD –probiotics can actually improve medications’ efficacy (16). They can also increase the effectiveness of typical fluconazole yeast infection medication (17). 7. What’s Best: Food or Supplements? It’s usually cheap and easy to get your probiotics from food, and doing so gives you the benefit of getting many other nutrients in too. For example, the cabbage in kimchi is rich in vitamins and fiber. 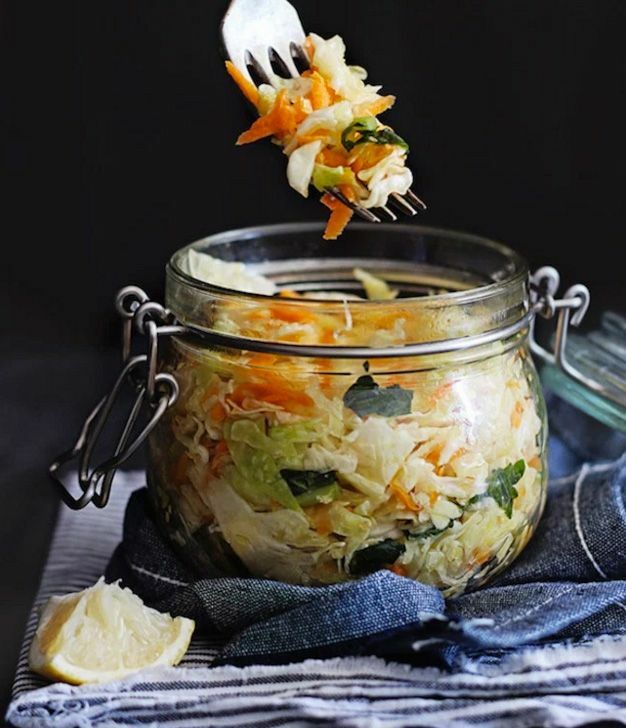 Fermented foods such as yogurt, kombucha, miso, and kimchi are rich in probiotics. Look for words like “live cultures” on the packaging. If you opt for yogurt, try to look for dairy-free options, since dairy products can increase inflammation in your body. In the long run, combining supplements and real food to get a nice big dose of probiotics each day is a smart option. Every body is different, so experimenting is the best way to find out what works for you. 8. Are Refrigerated Probiotics Better? When you’re trying to decide what’s a good probiotic for you and your family, another issue to consider is refrigeration. No worries: Unless your probiotic bottle directs you to refrigerate it, it’s not necessary to keep your supplements in the fridge. 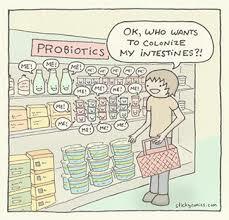 Of course, spoilable probiotic-containing foods like yogurt and kefir do need to be kept in the fridge. You may be wondering why some probiotics need to be refrigerated while others don’t. First, it’s important to understand that probiotics need to be alive (“active”) to work. Heat and moisture can break down and kill probiotic organisms, so refrigerating is a great way to protect your probiotics from heat and moisture. However, some products are protected in other ways. For example, many varieties of supplements are freeze-dried and/or kept in blister packages to prevent moisture damage, so these types generally don’t have instructions to refrigerate. No research to this date has found any benefits of refrigerated probiotics compared to unrefrigerated varieties, or vice-versa, as long as the bacteria remain alive…so it’s really just a matter of your personal preference. 9. What’s the Deal with Raw Probiotics? 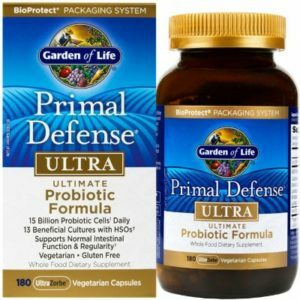 You may have seen raw probiotics such as Garden of Life brand at your local grocery store or pharmacy. These probiotics are guaranteed to contain live, active bacteria, and the bottle guarantees that they’ve never been heated. Probiotics like this are a great option because they come with the assurance that you get what you pay for. 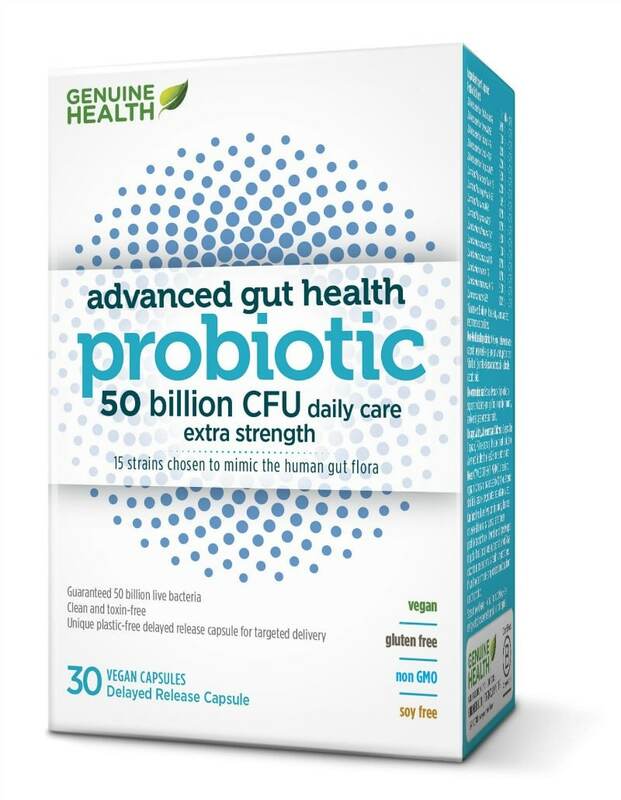 Other probiotics, for example, might boast a content of 5 billion CFUs, but it’s always possible that some of those bacteria were damaged in the production, shipping, storage, or retail processes. Remember that probiotics need to be alive to work their magic. Raw probiotics might cost a little bit more, but they essentially come with a guarantee that you’re consuming active, effective bacteria. 10. Can My Child Take Probiotics? Absolutely. In fact, probiotics have even been found to help prevent the spread of stomach bugs and respiratory infections in child care centers (18). A live probiotic such as this one is a great choice for kids. Introducing probiotics into your little one’s diet through food sources such as yogurt is another great option, but talk to your pediatrician if you’re unsure or worried. While probiotics bring good bacteria into your gut, prebiotics make the gut into a more welcoming environment for the good bacteria that already live there. They’re basically probiotic fertilizer. Prebiotics are made of plant fiber. They can be taken as supplements, but they’re also present in the fibrous peels of fruits and veggies, so it’s not hard to get them into your diet. Wondering how to choose between pro- and prebiotics? You don’t have to. Many studies have found that prebiotics can actually enhance the activity of probiotics, so they’re safe and effective when taken together (19). Hopefully, you now have a better understanding of what’s a good probiotic and how to choose one for your needs. It’s easier than ever to take in billions of microbes that can relieve distress from chronic conditions and prevent these conditions from ever occurring in the first place. These good bacteria are at the forefront of biomedical research right now, and wherever you fall on the spectrum of health, you can definitely benefit from probiotics.